335th day of the year. There were then 30 days left in 2018. 71st day of Fall. There were 20 days left till Winter. actually... i don't want no 'next'. true love doesn't exist. hope you're having a great day! 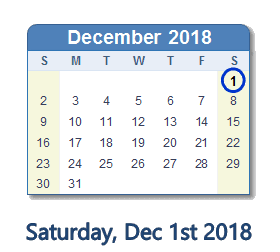 What happened on December 1st 2018?